If you have a wheel on your mouse and its listed as active on your GIMP input controllers preferences, you can use the wheel to select through fonts, font sizes, etc much quicker than you can scroll through the lists. Watch this video to see what I mean. The advantage of using the mouse wheel is particularly handy when wanting to check font types on the fly. When starting out with this tutorial for neon lettering, it's best to use a white background first, to allow you to see the text. Once the text is how you want it, then create a darker background for the text. Open a new image with a white background layer, any size to your liking. (I'm using 640 x 640 px @ 300 dpi). Select the Text tool and start out using Cooper Black, font color black, 100 px. In the Text Toolbox, select Path from Text. Click the eye on the text layer to turn it off. Add a new transparent layer. Make sure its selected (highlighted). Add a Gaussian blur of 3. Now you can change the white background layer to black, either add a new black layer above the white layer or just use the Bucket fill tool, using the Fill Whole Selection option while the white background layer is selected. The green is still a tad too dark, but we can easily fix that by duplicating the stroked text layer a couple of times. 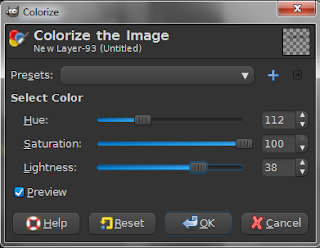 If it's too bright, you can always lower the opacity of the top duplicated layer. All it's lacking now is a glow behind it. Create a new transparent layer and name it "Glow". 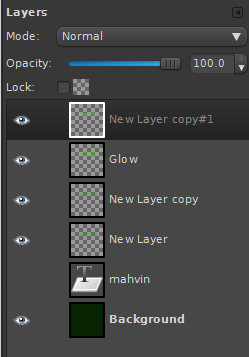 Move the Glow layer beneath the topmost duplicate text layer. 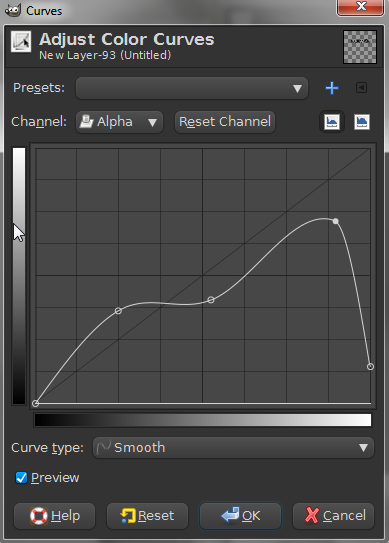 With the Glow layer selected, open the Paths Dialog, using Path to Selection. Go to Select - Grow, at 5 px. Select - To Path, to save it as a path. Stroke the new text path using (48ff00) for a foreground color, and the stroke size at 6 px. Add a Gaussian blur of 25 px. You can lower the opacity of the glow layer to suit. I recommend trying different font colors and font types to see how the effects turn out.